You don’t need frosting or glaze on this delightful Meyer lemon ricotta pound cake. Sweet and salty, soft and moist, it’s perfect with your coffee in the morning or your favourite tea in the afternoon. Can you smell that? Spring is in the air! Well, at least a preview of spring. We had a glorious weekend – sunshine and double-digit temperatures. I’m sure the wind chill and gloom will return but hey, for now, smiles all around. So how about we continue with our lemon journey? than I know what to do with. Teehee. 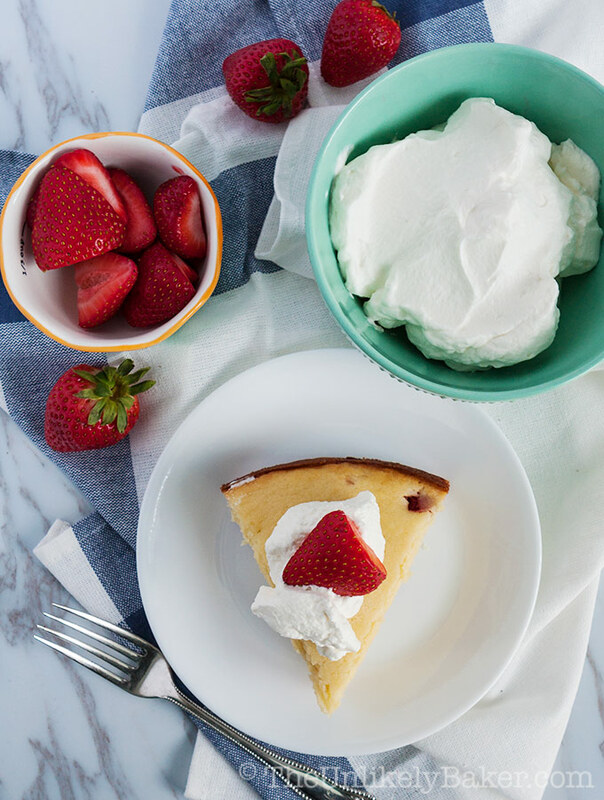 So come and bake a Meyer lemon ricotta pound cake with me! It is delicious and I promise it will brighten up your day no matter the season. You might remember from some of my earlier posts that we have a slight bulk buying…situation (really, who can resist grabbing that bag of Meyer lemons when it’s cheaper than buying them by piece? No matter that I end up with 15 extra lemons. Lemons are great. I love lemons). So we’ve learned to be creative in the use of ingredients and in finding ways to preserve them so they don’t go bad on us. Take lemons, for example. I’ve mentioned when I shared how to make homemade lemon curd that I freeze extra lemon juice and zest. It’s so convenient and that way I have a stash of Meyer lemons months after they’re gone from the stores.
. The zest just goes straight into a smaller bag. And that’s it! Of course fresh is always best but frozen is not bad at all. Like I said, nothing is wasted in the TUB household. That container of ricotta cheese escaped our notice though. It was a few days past its “Best Before Date” (what does that mean anyway) but I’ve found that unless it smells funky (or funkier, in the case of cheese) or has mold in it, then it’s still good. Note that this has no scientific basis at all; just nose logic. Like Gandalf (did you get that reference? Let’s be BFFs!). Anyway, Red didn’t want to make lasagna (which was what that ricotta cheese was for in the first place) so I had to find a way to use it. Enter this Meyer lemon ricotta pound cake. I already have my go-to Classic Buttermilk Pound Cake Recipe which I am perfectly happy with but this new recipe needed just the right amount of cheese that I had on hand. So off we go. This recipe was originally made with oranges. It’s a recipe from one of my favourite chefs, Giada De Laurentiis (like this lovely Lemon Ricotta Muffins Recipe) and you can find the original recipe here. But since, you know, I have a borderline obsession with lemons I made it a lemon cake and it turned out wonderfully! The texture of this Meyer lemon ricotta pound cake is crumblier than my buttermilk pound cake; it’s also softer. The cake has a nice crunchy crust while the inside remained light and very moist. It also has the sweetness of Meyer lemons and the saltiness of ricotta cheese. 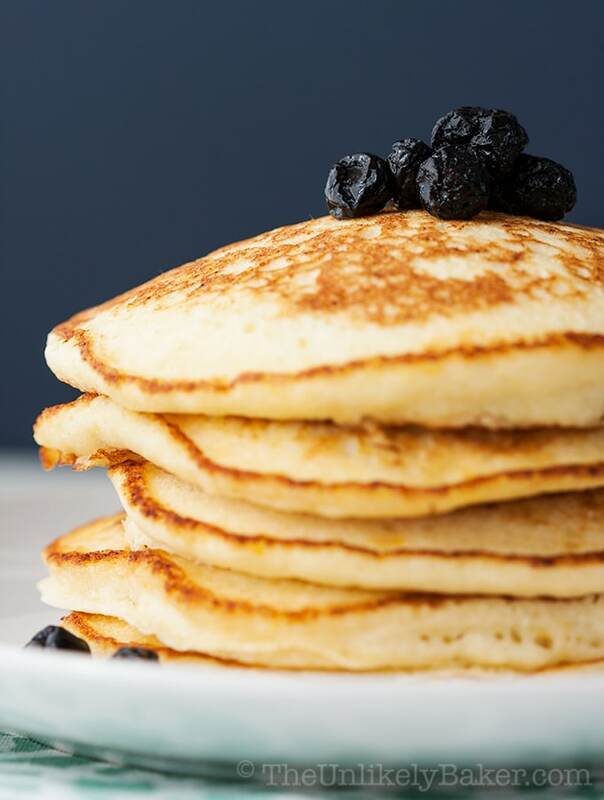 Sweet and salty – always a winner in my books! So now I have two lovely pound cake recipes in my collection: one I can make when I have extra buttermilk, another when I have extra ricotta cheese. Awesome. Watch the video to see how simple it is to make. Try it! It’s lovely with coffee, tea or on its own. 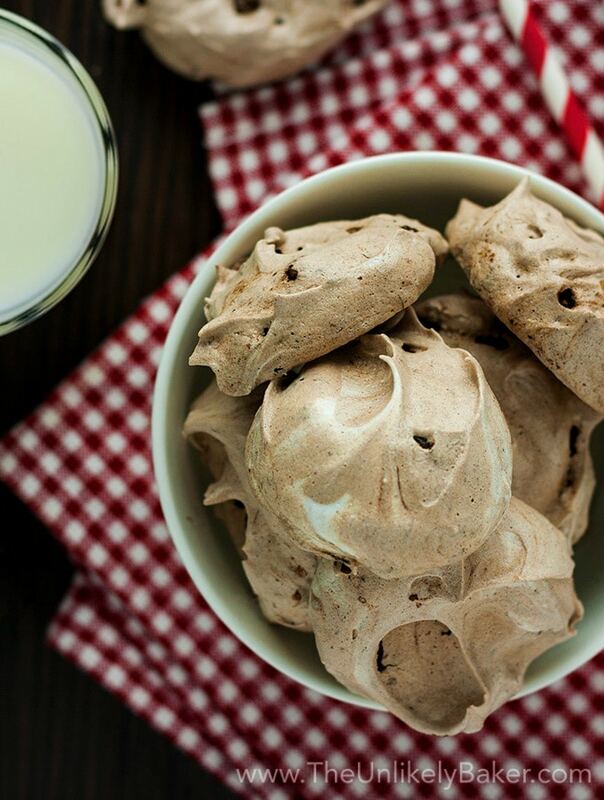 No frosting is needed, it’s delicious. No frosting or glaze is needed in this delightful Meyer lemon ricotta pound cake. 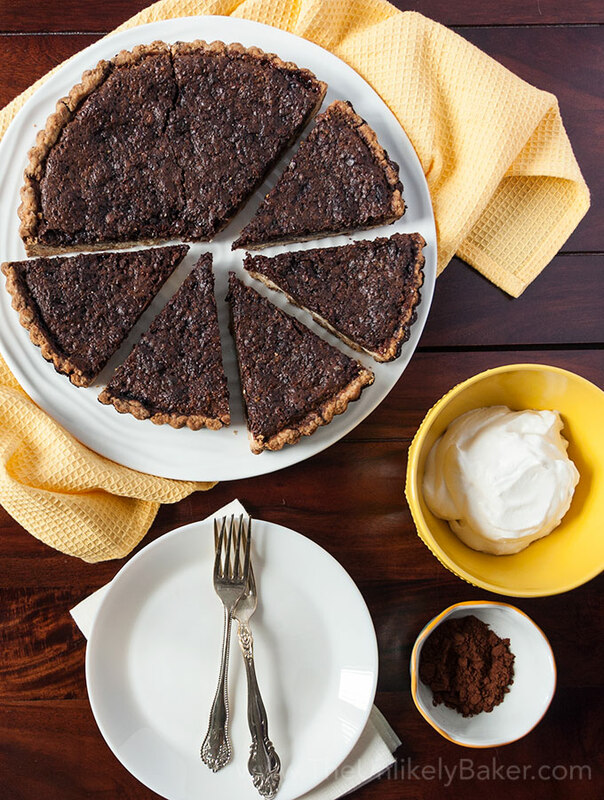 Sweet and salty, soft and moist, it’s perfect with coffee or tea. Preheat oven to 350F. Line the bottom and sides of a 9x5 inch loaf pan with parchment paper and generously grease with non-stick cooking spray. Set aside. In a medium bowl, combine 1 1/2 cups flour, 2 teaspoons baking powder and 1 teaspoon salt. Set aside. 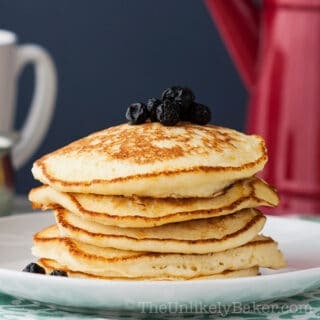 Using a handheld electric mixer or a stand mixer fitted with the paddle attachment, beat 3/4 cup butter, 1 1/2 cups ricotta cheese and 1 1/2 cups sugar on medium-high speed until incorporated, 2-3 minutes. The mixture will look like scrambled eggs at this point and that's OK! Switch to low speed and add the eggs one at a time until combined. Then add 1 teaspoon vanilla, 1 teaspoon lemon zest and 2 tablespoons lemon juice. Once your wet ingredients are incorporated, add your flour mixture a little a time until just combined. Do not over beat. Transfer your batter into your pan and bake for 50-60 minutes or until a toothpick inserted in the centre comes out with minimal crumbs (see note 2). Cool in the pan for 10-15 minutes then transfer to a wire rack to cool completely. You can substitute the same quantity of zest and juice from regular lemons. If you notice that your cake is getting too brown too fast, you can cover the top loosely with aluminum foil midway and continue baking. 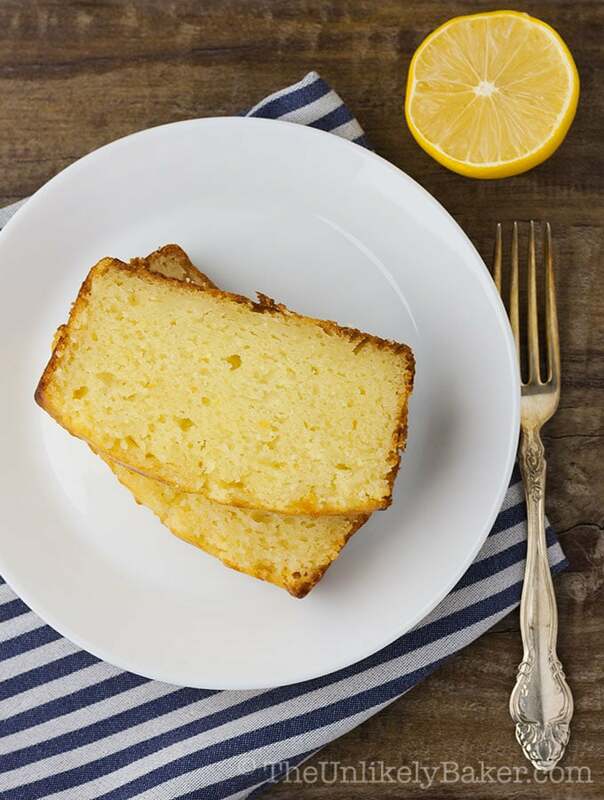 Did you make Meyer lemon ricotta pound cake? How’d you like it? I’d love to hear from you in the comments section below. 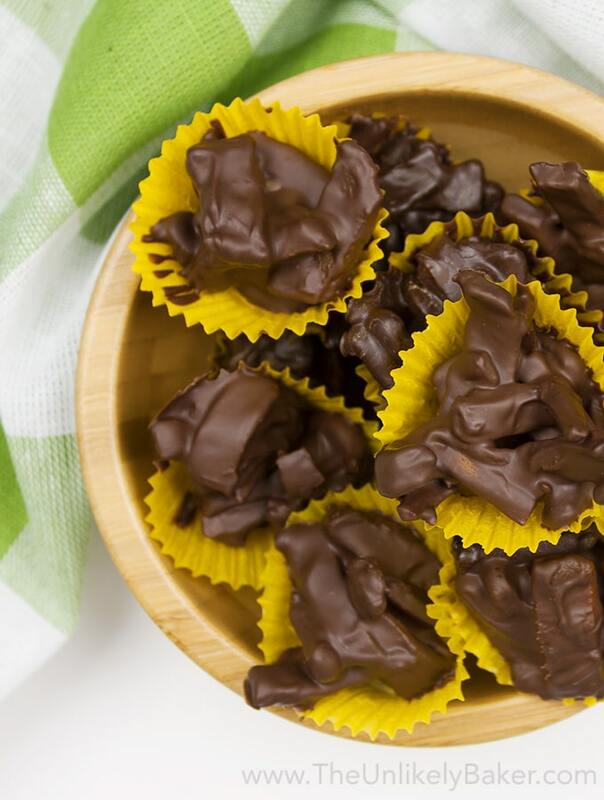 If you’re craving for something chocolatey instead, these are perfect! I don’t suppose you get a lot of male readers but as a stay at home dad I like making my kids treats like this. I’ve been baking more lately and I appreciate the video. Even the wife is impressed! I think that’s fantastic Edwin! I made this in January. I tripled the recipe and it made 3 beautiful loaves. Yesterday, I made another three but doubled the lemon juice, lemon extract (I have been using that instead of vanilla extract), and zest per loaf. It wasn’t as pretty because of the extra liquid but it was still yummy and more lemony. 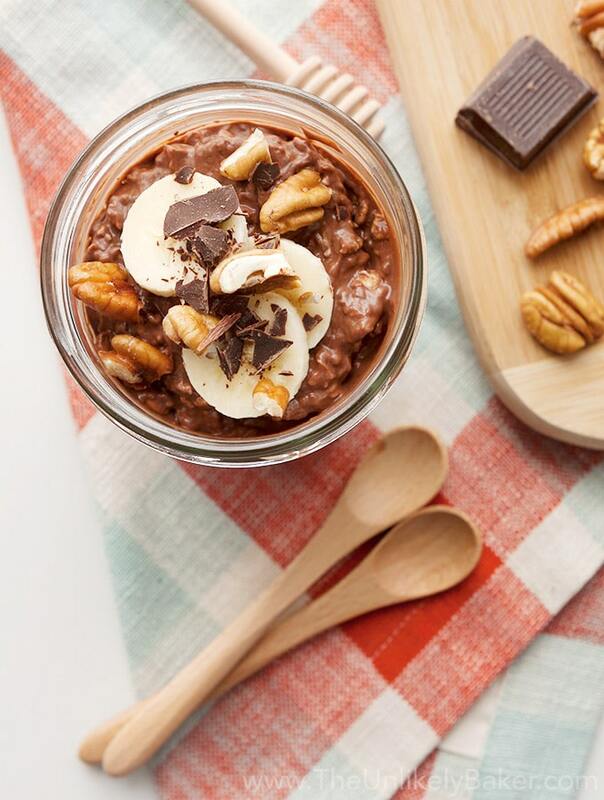 Thanks so much for sharing this great recipe! It is a new family favorite. Also, my photos posted on my Facebook page has caused a lot of conversation about your recipe! Thanks again. Hi Donna! You are most welcome! I’m so glad you liked it 🙂 And yes I agree lemons and citrus fruits are at their best in the winter. I adore your food blog. You fulfill the beauty of the recipes with high quality photography included, it almost make me feel the taste of all the recipes enclosed. I love how you tell your food story through AMAZING photos. I love how you are trying to use all your “overbought” item. I do the same thing. I have a fridge full of items that I have to come up with recipes for. I’m glad to know I can do something with my lemons and ricotta cheese now! Thanks! Though I have had advice that maybe I really shouldn’t overbuy in the first place haha. Good point, but those lemons. So lovely. I. Am. So. Weak. LOL! Wow what a delightful recipe! Spring is coming and I’d love to do this lemon ricotta pound cake for a spring party Im hosting in a few months. Hi Jennifer! Hope you and your guests like it! I love Meyer lemons and this pound cake looks divine! I am lucky to have several very generous friends with Meyer lemon trees so I have an abundance of lemons. I’m always looking for ways to use them and can’t wait to try this recipe. Can I be their friend too? LOL! You’re so lucky! And I’m jealous haha. Enjoy your Meyer lemons Sharon! They are delightful. 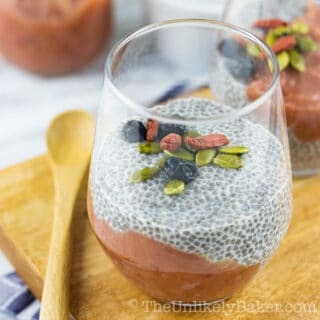 Omg, this is absolutely looks delicious and I really want to try this! I can’t believe that this is a ricotta cake. I have a serious weakness for Meyer lemons and for poundcake. Looks so moist. Pinned. Oh, too bad about the Meyer lemons 🙁 There’s always next season! And why oh why did not think about freezing a dozen pound cakes? Haha! Genius idea 🙂 Gotta do that soon. This pound cake looks so delicious. I’ve always loved desserts with a hint of lemon flavor. Oh I love everything about this cake!! I wish Meyer Lemons were easier to find where I live (and even more, I wish I could actually have my own Meyer Lemon tree!) but I might try this with regular lemons. It sings of spring! Pound cakes are our favorite too !! Lemon and ricotta must be lovely combination. Your pictures are so beautiful . I can almost taste it over here ! First of all, this sounds amazing (like all of your recipes)! 🙂 Second, now I’m craving lemon pound cake but don’t have any. Lol! Third, I’ve yet to find Meyer lemons. Completely bummed about it, too. 🙁 Anyway, back to your cake, it looks lovely, and I bet your kitchen has smelled wonderful lately with all the lemon recipes. Oh that’s too bad about Meyer lemons. Though truth be told, regular lemons aren’t bad at all! They’re quite delightful too eh? 🙂 And yes, we have been smelling quite lemony lately lol. Thanks Berly! Have a wonderful evening! 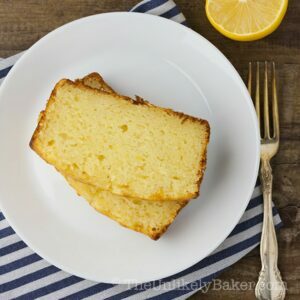 I love anything lemon, and a perfect lemon cake like this sounds wonderful! A great treat coming into the spring! Yum! Ah spring. What a lovely thought 🙂 Thanks Leah! Yum! That looks good! I am always on the lookout for a cake recipe. I’m going to have to try this! Hope you like it Belle! 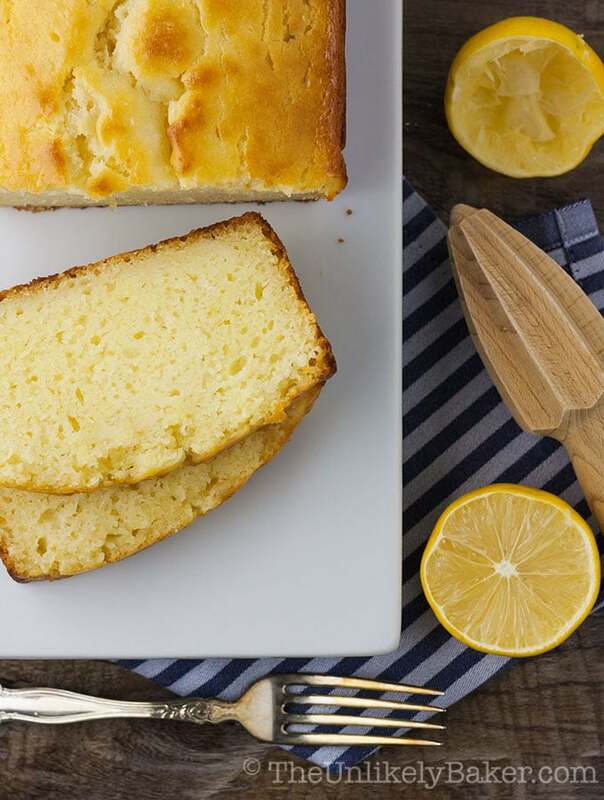 Omg, lemon ricotta pound cake sounds amazing. I def love sweet and salty food, this sounds delish! Can’t wait to try this recipe…yummy! I love lemon and this recipe looks amazing. I LOVE, LOVE, LOVE ricotta cheese…it probably makes this pound cake so moist and yummy!! This looks so good! I am saving this for later! Yum! That sounds so good! I’ll have to try making my own lemon curd sometime. I never even thought to look up how. Thanks Dana! And yes, making lemon curd is super easy 🙂 Hope you like it! We love lemon as well! This sounds great for a spring evening! My husband adores anything lemon and the ricotta will put him over the moon. Already pinned this! This looks so good. I love a good pound cake, but have never had a lemon flavored one. I will have to give this recipe a try! That pound cake looks amazing! 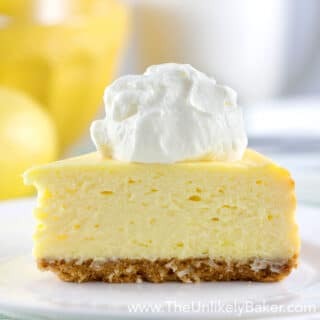 I tend to have a hard time finding Meyer lemons around here when I want them, I use them for one of my cheesecake recipes. Yum! There is nothing I like better with my tea, than a nice big slice of pound cake. This one looks amazing too. I bet the lemon and cheese combination is wonderful. I can’t wait to give it a try! This pound cake will definitely brighten up my day. It looks so soft and moist. 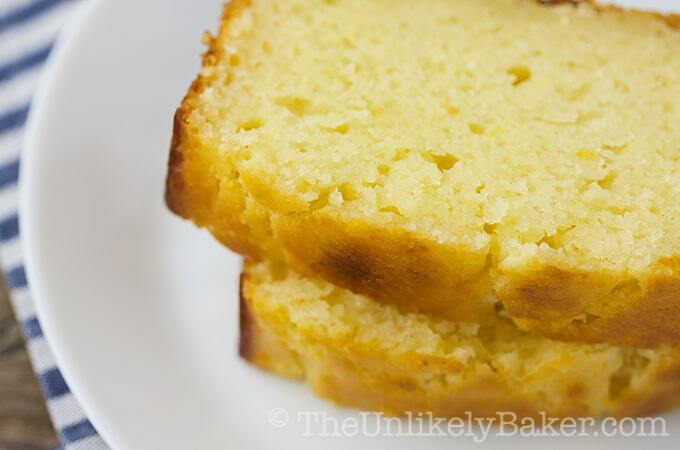 The texture of this pound cake sounds so nice and I’m definitely a fan of that flavor. I think this sounds like a winner. It’s great that you had a use for the cheese! Looks like a winner in my book too. I love lemon cupcakes and a lemon pound cake would be even better. The addition of ricotta cheese in the recipe is interesting. Never thought of doing that until now. Thank you for the recipe. My pleasure! Hope you like the addition of ricotta! I’m ready for Spring! I love Spring :). And this cake looks delicious! Lemons do remind me of warm days and sunshine. I love the creative way of using ingredients! I love Ricotta and I love lemons. So this is the best cake for me! Oh my, I am so done with winter and cannot wait for warmer weather! For now, lemon ricotta pound cake 🙂 Hope you like it Carola! Darn Jolina! Now all I will crave is this whole day… I wish u lived nearby. These kind of recipes are perfect! No waste. LOL that’s funny Suchi, that’s how I feel when I see YOUR posts lol! Let’s just do a bake exchange already haha! Next time I visit Toronto, I will let you know! My husband LOVES ricotta! I bet he would want me to make this for him! Awesome! Do you guys usually use it for savoury dishes? This would be a nice sweet treat 🙂 Hope you guys like it! 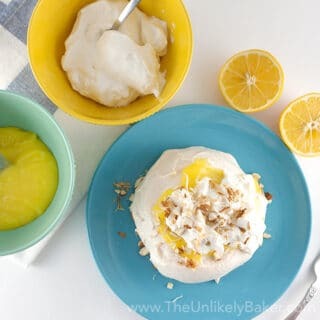 My husband is a huge fan of lemon desserts! I love surprising him with something like this on special days and our anniversary is coming up! Nice! This would be a great breakfast/brunch option too 🙂 Have a most wonderful anniversary Lisa! Yum! I love lemon desserts. This looks delicious! This so incredibly moist!! I never would have thought to add ricotta to pound cake. This looks great!! 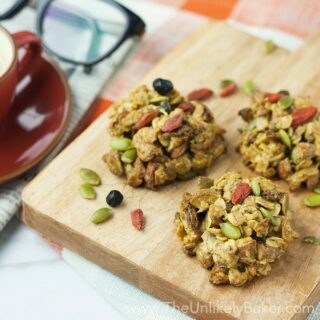 I would love to try to recreate this recipe making it dairy and egg free, due to allergies 🙂 Thanks for sharing! I’ve been looking for a decent lemon cake recipe. Thanks for finally providing it! 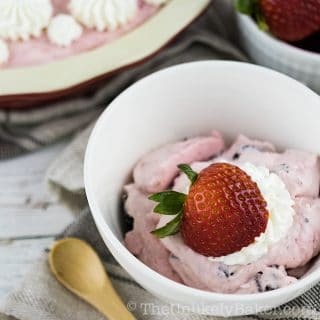 This looks the perfect spring time dessert! 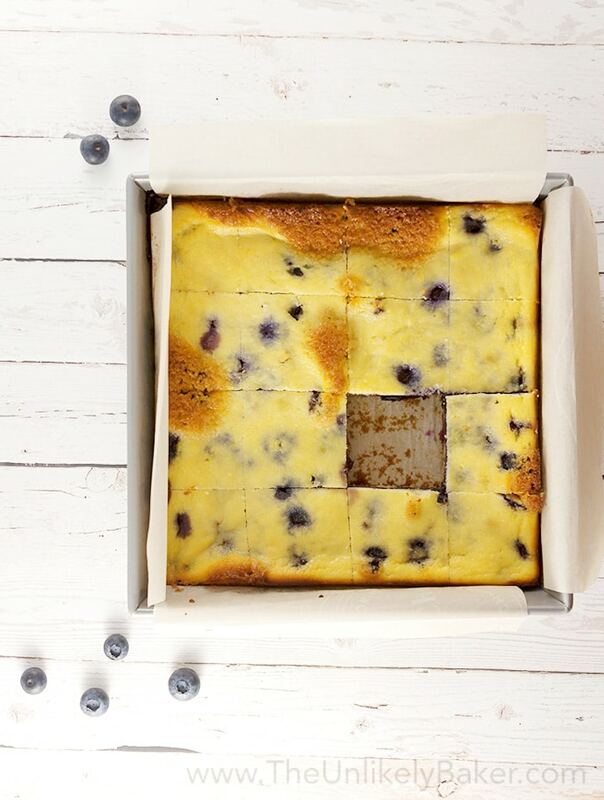 I would never have thought of adding Ricotta to a cake! Thank you for the unusual but delicious tip. Hmmmm this sounds interesting. First, I love the ideas of saving everything. Freezing lemon juice, etc. Then, when it comes to the recipe, I love the idea of ricotta in the mix of ingredients. I love ricotta cheese, so this would add a nice flavor to the pound cake. Going to have to try. We freeze lime juice and zest too! I somehow always buy more than what I need lol. Hope you like the cake T.M. !